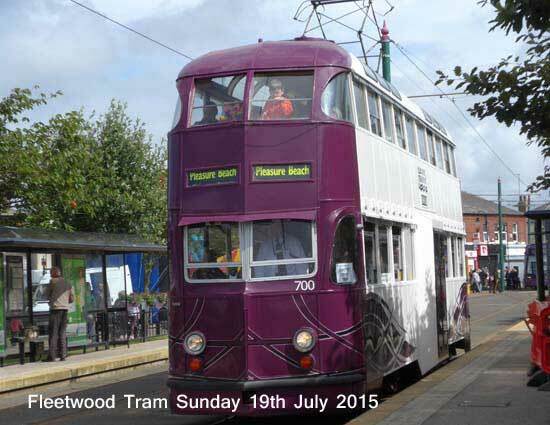 Click here to see earlier year Fleetwood Tram Sunday photos. 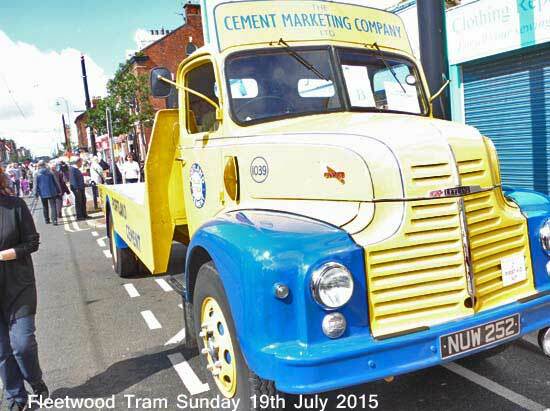 Fleetwood's transport, art and entertainment festival. Early in the day the transport is set up, the food and funfairs are running, the art and entertainment doesn't start till later. Very busy as usual. Arriving early for a walk from the Esplanade to Fisherman's Walk. First sighting parked on the Esplanade, a restored ex-Ribble early Leyland Atlantean bus of 1962 vintage, with Preston registration plate RRN405. Operated by Lancastrian Transport Trust (LTT) of Blackpool it was running a free service between Freeport and Marine Hall and places in between. 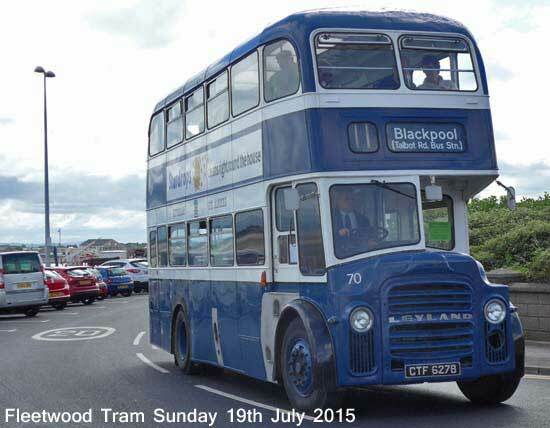 Near the North Euston Hotel an ex-Lytham St Anne's Leyland PD2 bus, known as Lytham 70. 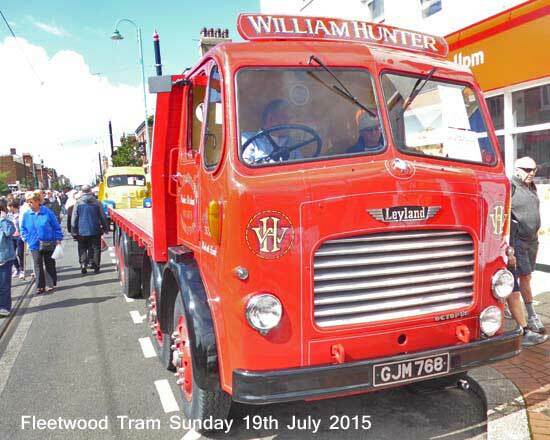 Built in 1964 and now operated by LTT also running the free service. 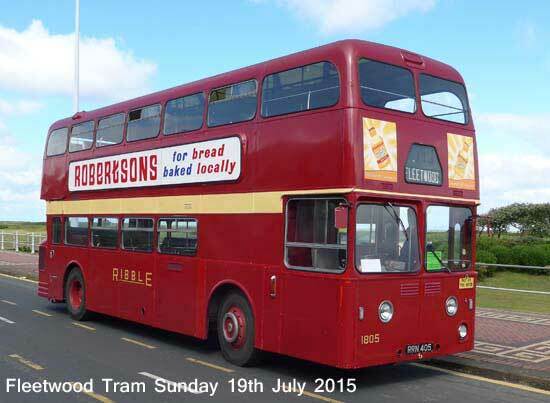 Another ex-Ribble with Preston registration, a Leyland PS2/5 built in 1950. 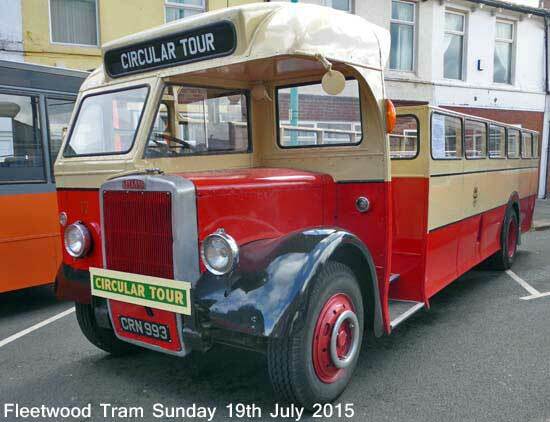 Converted for open top tours when bought by Southport Corporation in 1960. 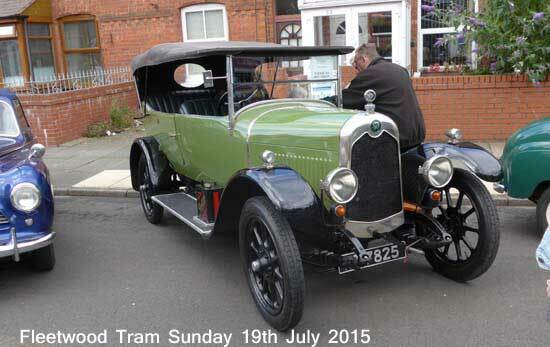 Now privately owned and stored at Merseyside Transport Trust. 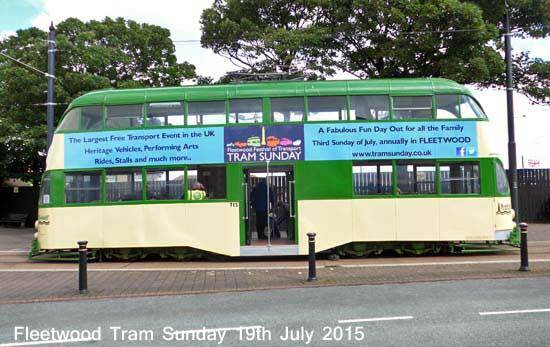 At Pharos Lighthouse three Blackpool Heritage Trams on static display. Ex Bolton Corporation No.66. 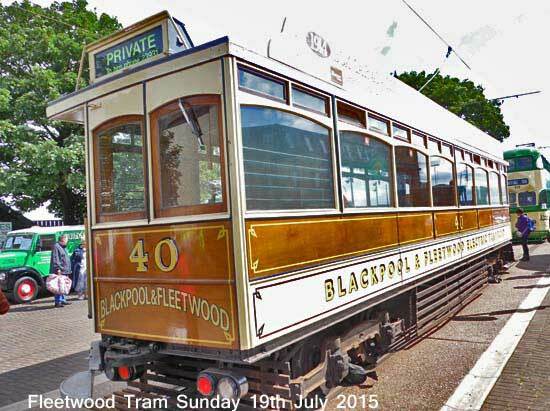 Blackpool Heritage Tram, Box 40 at Pharos Lighthouse. 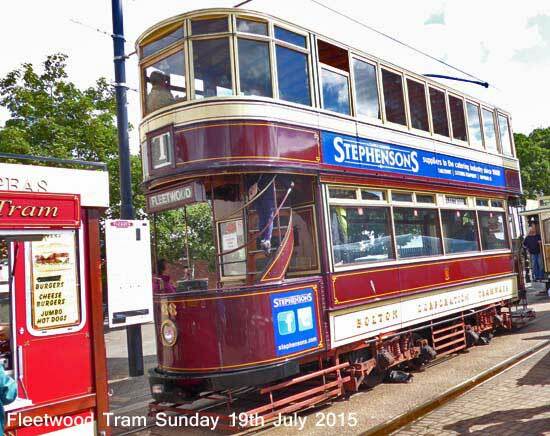 Blackpool Heritage Tram, English Electric, Preston, Balloon type 715. 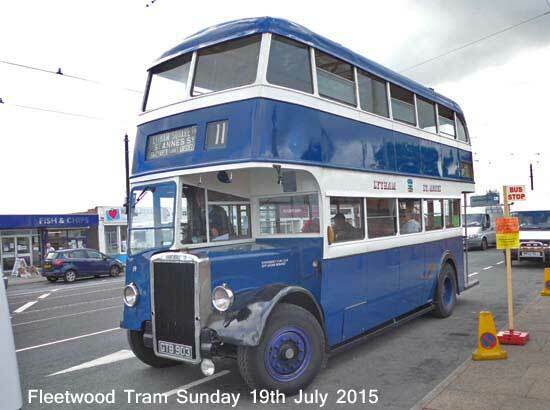 Ex-Lytham St Anne's Leyland PD1 of 1946 operating the free service by Lancastrian Transport Trust. 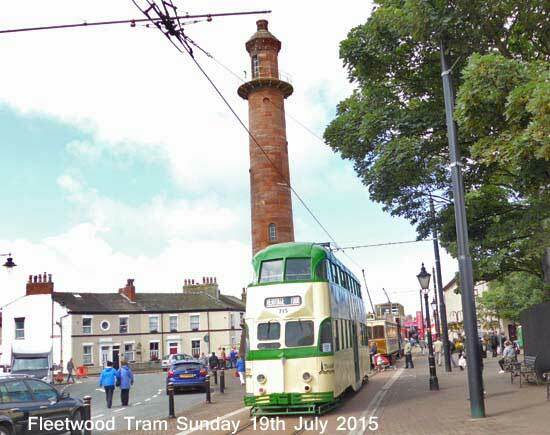 Blackpool Heritage Tram 715 next to Pharos Lighthouse. 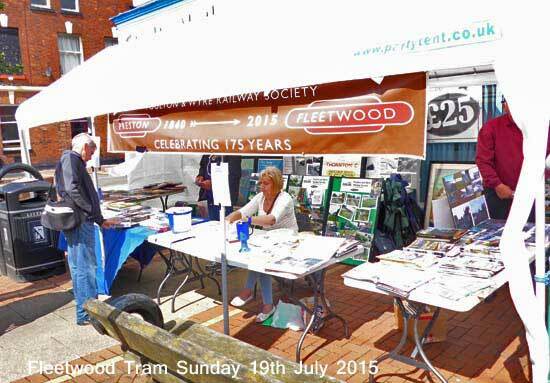 Poulton & Wyre Railway Society celebrating 175yrs and trying to restore the track between Fleetwood and Poulton. 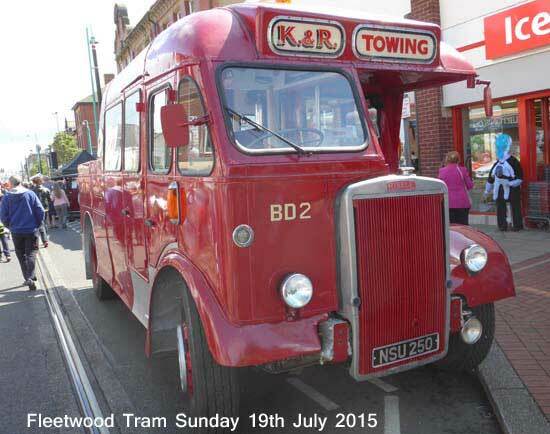 A preserved Leyland towing bus in Ribble livery. K&R Welsh of Manchester. 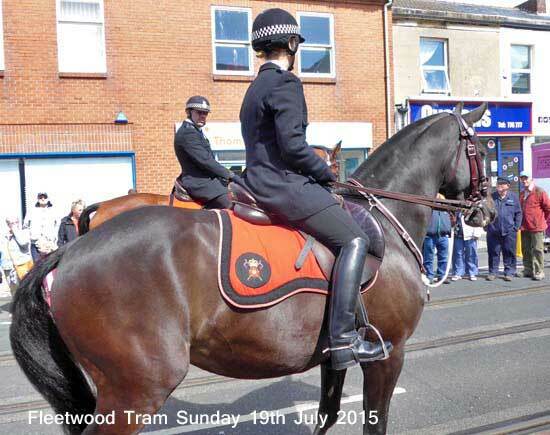 Leading the Festival Procession two Lancashire Constabulary police horses. 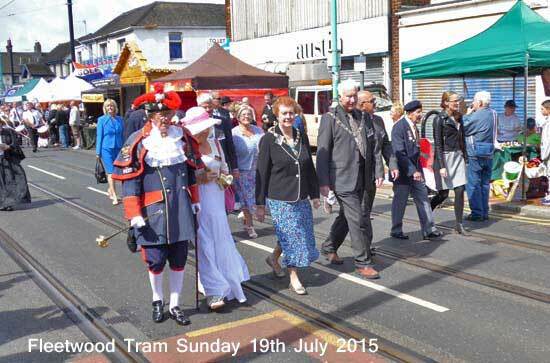 Fleetwood Festival Procession led by the dignitaries including Blackpool Town Crier. The Mayor of Wyre and his wife, then on the right the MP for Fleetwood, Cat Smith. 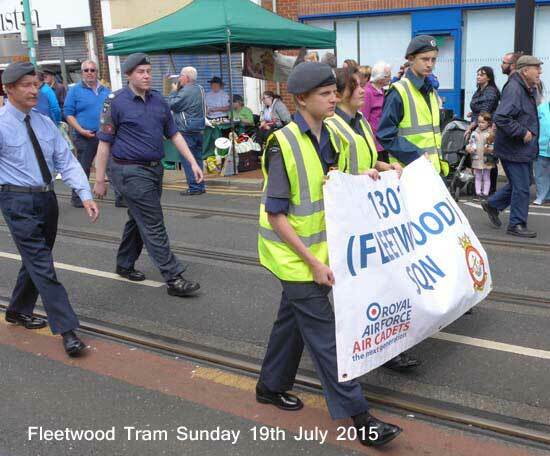 Fleetwood 130 Squadron of the Air Cadets. 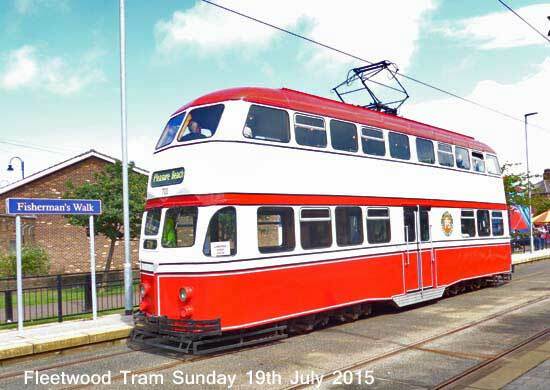 Blackpool Transport preserved English Electric Tram. 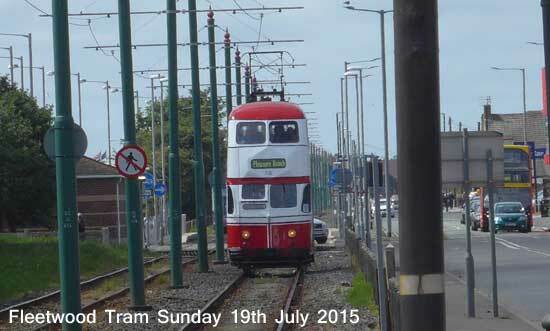 Blackpool Heritage Tram Tours preserved English Electric tram at Fisherman's Walk. The above photos were taken with my camera having moved to a different setting without me being aware, so some are a bit over-exposed. 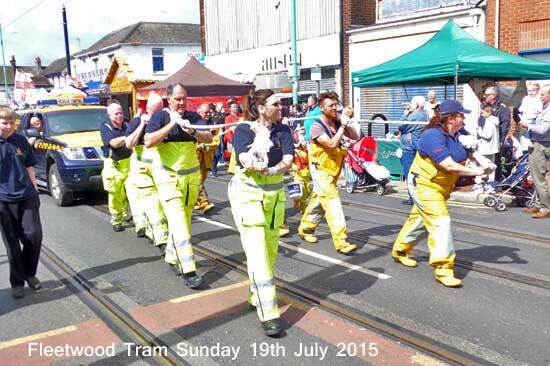 Fleetwood Tram Sunday is now known as Fleetwood Festival of Transport, a name that doesn't slip off the tongue.